Rabies is a viral zoonosis affecting the central nervous system of warm-blooded animals. Transmission occurs when saliva containing the rabies virus is introduced into an opening in the skin, usually via the bite of a rabid animal. Though rare, transmission could occur through infected saliva contacting mucous membranes or a scratch or other break in the skin. Monday, September 28, is World Rabies Day, and this year's theme is "End Rabies Together." On Twitter, the hashtags are #WorldRabiesDay and #EndRabies. You can learn more on the website of the Global Alliance for Rabies Control. 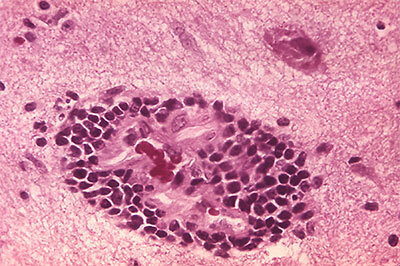 After the rabies virus enters the body, it begins to multiply in the area near the entry site. If the infection is not stopped at this point, the virus will eventually invade the nerve cells in that area. Once the virus is in the nerve tissue, it travels along the nerve to the brain, where it continues to multiply. The virus may then spread along nerves from the brain to the salivary glands or other parts of the body. Rabies remains a dreaded disease because it is almost always fatal, plus it is accompanied by distressing clinical signs and symptoms; however, if rabies postexposure prophylaxis (PEP) is administered before the virus enters the nervous system, it can be prevented. Despite its severity, there is still much the public and even health professionals may not know about rabies. 1. Rabies is not as rare as you think. Rabies is a disease based in antiquity. Since it has been noted since ancient times and is relatively rare in humans in the US, it is oftentimes a forgotten disease not only by the general public but also as a differential in medical diagnoses. However, rabies is not as rare as most people think, and it remains a disease of public health significance. According to the Centers for Disease Control and Prevention (CDC), it exists in every continent except Antarctica. It’s difficult to assess the annual number of human rabies deaths worldwide due to under-reporting in developing countries (particularly Asian and African countries); however, it is estimated to be in the tens of thousands (possibly as high as 55,000). Rabies biologicals are readily available for exposed individuals, and they are 100 percent effective if administered promptly and properly. An average of 40,000 people a year receive this prevention treatment, according to the CDC. Animal control and rabies vaccination programs for dogs and cats are prevalent. There are also vaccination programs for wildlife, such as the Texas’ Oral Rabies Vaccination Program (ORVP); it was implemented to eliminate the domestic dog/coyote variant of rabies virus, which had reached epizootic levels in South Texas. 2. Some animals are more likely to transmit rabies than others. All warm-blooded animals, particularly mammals, can acquire rabies, but some are more likely to transmit it than others. The CDC estimates that worldwide, 90 percent of exposures are due to rabid dogs; those exposures cause 99 percent of the human deaths. 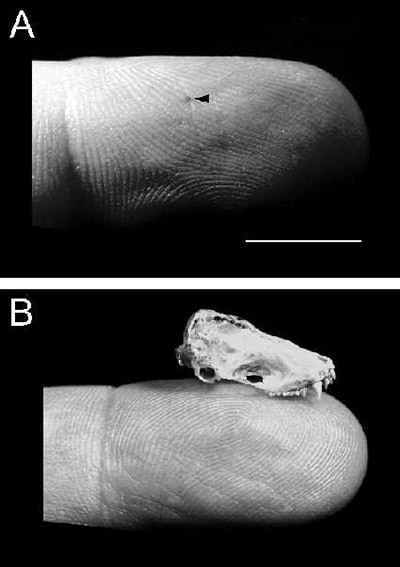 In the US, most human deaths are due to exposure to rabid bats; this is partly because the bite wound is so small (about the size of a hypodermic needle) that the person may not know they were bitten and, therefore, doesn’t seek medical attention and PEP. In the US, the most commonly reported rabid animal is the raccoon, followed by skunks and bats. The prevalent species that are transmitting rabies can vary from state to state. For instance, in Texas, animals defined as being high risk for transmitting rabies are skunks, bats, foxes, coyotes, and raccoons. Rabies infection in a species other than the reservoir species for the variant is considered “spillover.” An example of spillover would be a cat infected with a skunk variant of rabies virus or a skunk infected with a bat variant. 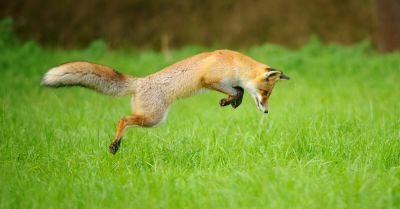 Low-risk animals for transmitting rabies include rabbits, opossums and armadillos, plus mice, rats, squirrels, nutria, shrews, prairie dogs, beavers, gophers, and other rodents (if they are caged-raised animals, they are considered very low risk). These animals have a good potential of not surviving an attack by a rabid animal. However, that is not the case all of the time, as Texas just had a rabid rabbit in August, which reportedly was attacked in its outdoor hutch by a skunk about five weeks prior to its death. 3. Animals may not “act” rabid. When many people visualize a rabid animal, they picture the foaming-at-the-mouth movie images of Cujo. 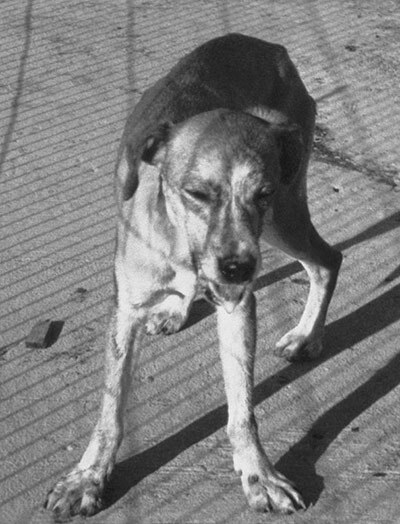 However, the most typical signs of rabies are unexplained paralysis and a change in behavior. For instance, a friendly cat may become very aggressive, a normally playful puppy may become shy and withdrawn, and a nocturnal animal may be out during the day. There is a plethora of other clinical signs that a rabid animal may or may not exhibit, such as not eating, eating strange (non-food) objects, pawing at the mouth, appearing to be choking, having difficulty swallowing, chewing at the site of the bite, having seizures, and exhibiting hypersensitivities to touch or sound, to name a few. 4. You can protect yourself against rabies. Do not handle downed bats. Do not handle sick, injured or dead animals. Teach children how to correctly behave around an animal to avoid being bitten. (For example, in addition to the above tips, teach them to not pull the animal’s ears or tail, tease the animal, bother the animal while it’s sleeping, run past the animal, move toward an unfamiliar animal, or try to play with the mother’s offspring). For more on bite prevention, see the resources from the Texas Department of State Health Services. If a bite does occur, wash the bite wound immediately with soap and water (and iodine if available and you are not allergic); promptly seek medical attention and guidance from a physician; and take rabies PEP if prescribed by a physician. The physician may also prescribe antibiotics and a tetanus vaccination depending on the nature of the bite and the circumstances of the bitten person. Note that the PEP regime no longer features the much-feared extensive treatment of vaccinations in the stomach, but consists of a dose of human rabies immune globulin (based on weight) and a series of 4 vaccinations (5 vaccinations for immunocompromised individuals) in the deltoid area over a month period. You can also prevent rabies by getting pre-exposure rabies vaccinations (3 doses of vaccine given in the deltoid area over the course of 3 to 4 weeks) if you work in an occupation with a high risk for exposure, such as rabies diagnostic lab worker, spelunker/caver, veterinarian, veterinary technician or assistant, veterinary student, animal control officer, shelter employee, or wildlife worker. If you are traveling to a foreign area with enzootic rabies, you should consult with a physician about getting pre-exposure vaccinations as well. 6. You are more likely to be exposed to rabies by a pet than by wildlife. One of the best ways to protect not only your pet but also yourself is to vaccinate your pet against rabies. Although wildlife in the US typically accounts for the 90-plus percentile of yearly rabies cases, your pet can be exposed via the rabid wildlife and bring the disease into your home. In many states, including Texas, it’s required by law to get your dogs and cats vaccinated against rabies. Texas law also recommends that you get vaccinations for livestock (especially equines and others that have frequent contact with humans), domestic ferrets and wolf-dog hybrids. Although vaccinated animals still need to be observed for rabies if they have potentially exposed a person (due to the rare possibility that the vaccine was not effective in that animal), healthcare providers feel more confident with observing the animal for rabies rather than testing it if the animal has been previously vaccinated. If you were to test an animal for rabies instead of observing it, the testing procedure requires euthanizing the animal and removing its head to submit to the laboratory for testing. 7. Rabies incubation periods can vary. Although rabies incubation periods can range from days to years, the average is 3 to 8 weeks. This range is why it is important to promptly receive PEP – but also why a person should still pursue PEP even if time has lapsed since the bite (possibly because they didn’t initially consider the possibility of rabies). In this case, if the incubation period is on the protracted end, the PEP may still work. The incubation period is not the same as the 10-day observation period (during which the animal is typically quarantined or confined) for a dog, cat or domestic ferret that has bitten a person. After an animal is exposed to rabies and the virus has spread to its salivary glands, the animal may be able to shed (or excrete) the rabies virus in its saliva; this means that the animal is infectious. Shedding occurs in the last stages of the disease. Clinical signs also appear in these last stages, followed closely by death. Dogs, cats and domestic ferrets with rabies may shed the rabies virus three to six days before they show clinical signs of rabies and only live for a few days after the clinical signs appear. This is why it is so important to observe animals that have bitten or otherwise potentially exposed a person to rabies. If a dog, cat or domestic ferret is healthy 10 days after the incident, it can be concluded that the rabies virus could not have been in the animal’s saliva at the time of the incident and it could not have exposed the person to rabies. The animal still could possibly be incubating rabies, but it could not have been at the point of transmitting the virus in its saliva. 8. There are various lab tests for rabies – and not all of them for humans require the subject to be dead. In most instances, rabies is fatal, and the testing of specimens is in the postmortem state. However, there are some ways that physicians can have an antemortem test performed in humans. In either case, a proper specimen is needed (e.g., brain tissue, cerebrospinal fluid, and other specific specimens). Briefly, the specimen is set up for a fluorescent antibody test (FAb) in which specific rabies antibodies will attach to rabies antigens in tissue. 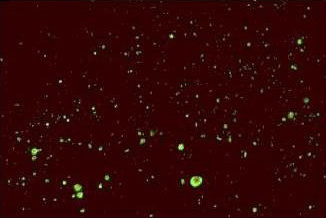 If the specimen is truly positive, the result is a fluorescent green microscopic view of rabies antigen. The FAb test is still the gold standard. However, there are more current and specific (molecular-based) rabies tests as well as more traditional classic tests (e.g., negri body detection, serological, etc.). Here is a publication we co-authored that shows a typical laboratory testing scenario of this clinical rarity. Pamela J. Wilson is a Licensed Veterinary Technician and a Master Certified Health Education Specialist. She currently works in Zoonosis Control at the Texas Department of State Health Services (DSHS) in Austin, after working at an animal clinic for many years. Additionally, she has been an adjunct instructor for 16 years teaching veterinary medical terminology at Austin Community College and has done veterinary assistant training programs with the Texas Veterinary Medical Association. 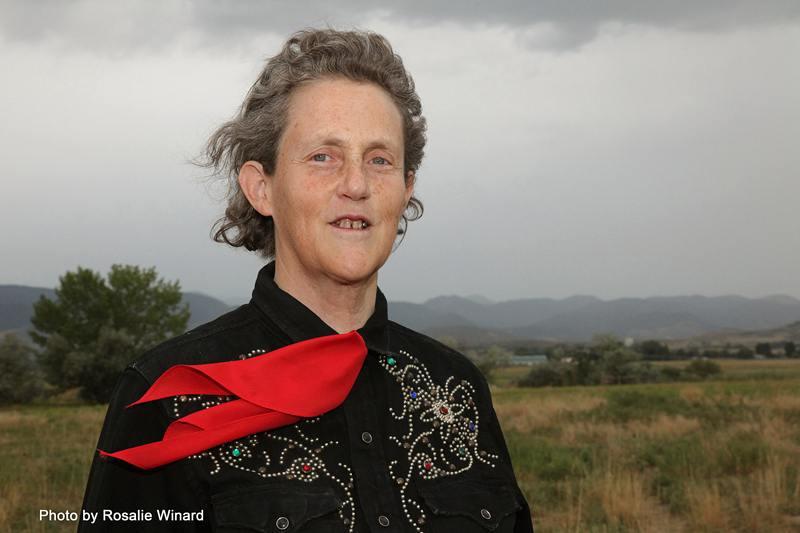 She has published multiple articles on rabies in the Journal of the American Veterinary Medical Association, plus articles on various topics in Texas Veterinarian and Best Friends Magazine. 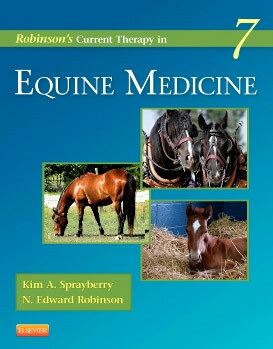 Additionally, she wrote the chapter on rabies for the 7th edition of Robinson’s Current Therapy in Equine Medicine, published by Elsevier this year. 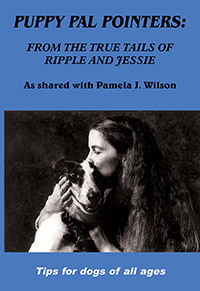 Wilson is also the author of three books about animals, including Puppy Pal Pointers: From the True Tails of Ripple and Jessie, which contains helpful tips for dogs (and cats) of all ages — including a contribution from Dr. Rodney E. Rohde on rabies and zoonotic education. Her heart and home have been shared with many beloved dogs and cats. 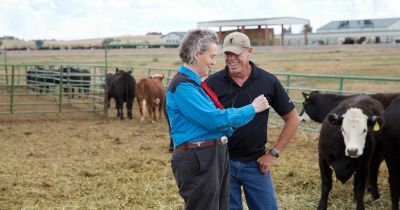 Wilson graduated with honors while earning a Bachelor of Science degree in zoology from Southern Illinois University Carbondale and a Master of Education degree with a focus on zoonotic diseases from the University of Texas at Austin. Her awards include Humane Educator (Texas Animal Control Association), Veterinary Technician of the Year (Texas Veterinary Medical Association), Alumni Achievement Award (Spoon River College),and the Honors for Excellence in Achievement, Leadership, and Teamwork in Health (HEALTH) Award from the Texas DSHS. Dr. Rodney E. Rohde ( @RodneyRohde ) is Professor, Research Dean and Chair of the Clinical Laboratory Science Program (CLS) in the College of Health Professions of Texas State University, where he spends a great deal of time mentoring and coaching students in this sometimes mysterious and vague path. He has been recognized with teaching excellence at both Texas State and Austin Community College. 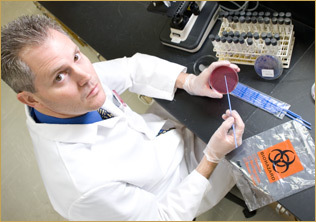 Dr. Rohde's background is in public health and clinical microbiology, and his PhD dissertation at Texas State was aligned with his clinical background: MRSA knowledge, learning and adaptation. His research focuses on adult education and public health microbiology with respect to rabies virology, oral rabies wildlife vaccination, antibiotic resistant bacteria, and molecular diagnostics/biotechnology. He has published a book on MRSA stories, over 50 research articles, book chapters and abstracts and presented at more than 100 international, national and state conferences. In 2015, Dr. Rohde received the Cardinal Health #urEssential Award as Champion of the CLS Profession, named a Top 20 Professor of CLS and received the Texas State Mariel M. Muir Mentoring Award. Likewise, he was awarded the 2015and the 2012 Distinguished Author Award and the 2014 and 2007 ASCLS Scientific Research Award for his work with rabies and MRSA, respectively. Learn more about his work here. 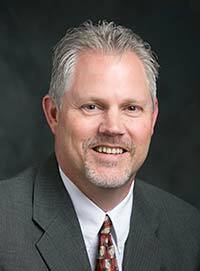 Dr. Rohde is the current Texas Association for Clinical Laboratory Science (TACLS) President and has been involved in licensure efforts in Texas since 2007. While we welcome your comments, anyone who thinks they might have been exposed to rabies should contact a physician immediately and not wait for a response to an internet inquiry. What could possibly go wrong on the maddening 6-year interview?